Last Sunday, Portland Shopping Tours had another fun and successful tour. 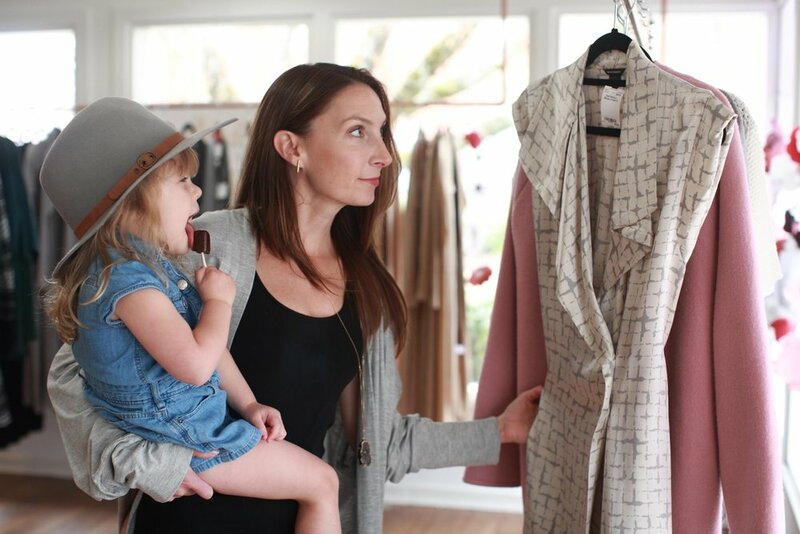 This time the tour was a collaboration with Sara Dahlquist of DahlStyle, who took us all to five of her favorite Portland area boutiques that she has worked with over the years. 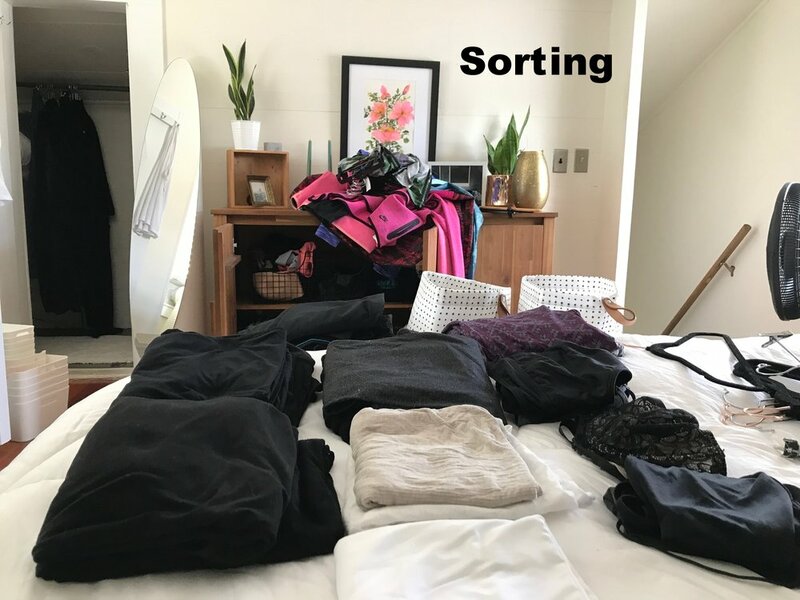 DahlStyle says: Consignment is a significant part of not only my own wardrobe, but it’s also a tool I teach my clients to use to keep garments in rotation and out of landfills. 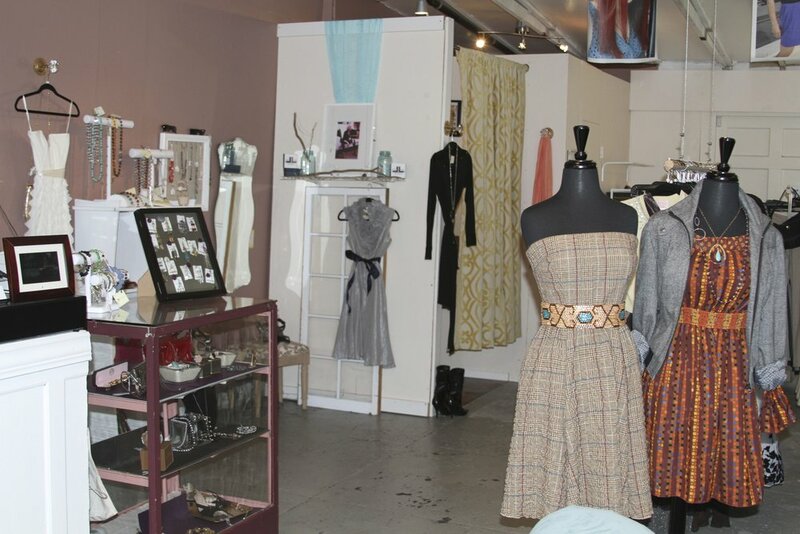 Consign Couture is one of my favorite consignment boutiques, not only to sell but to shop! Some of my very favorite pieces have come from Consign Couture. DahlStyle says: I’ve been working with Shop Adorn since there was just one location and now there are FOUR Shop Adorns! A fair amount of my own wardrobe was found at Adorn. 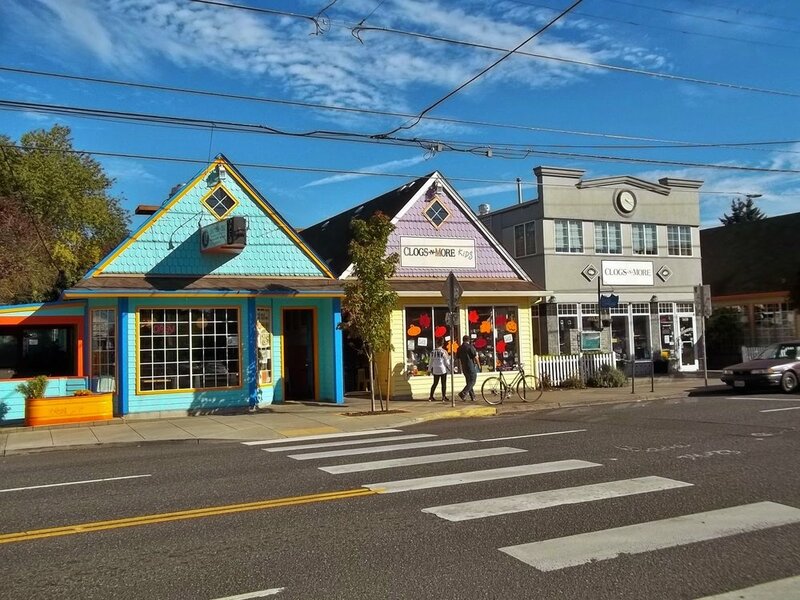 They not only offer the BEST selection of denim in Portland, you can also find that special dress or jacket there that can add so much personality to your wardrobe. DahlStyle says: EcoVibe has something for EVERY woman. When I have clients who want comfort and style, I bring them to EcoVibe. I also respect their love for natural fibers and the environment. You can feel good about what you’re wearing! They give 1% of all their sales to 1% For The Planet. DahlStyle says: Designer Katy Kippen has an incredible talent for designing pieces that are not only contemporary and innovative, but also timeless. You’ll be able to find whatever you need - whether it’s a casual earring or an elegant statement piece. DahlStyle says: Foundation is the epitome of understated elegance that will not break the bank. They offer pieces that you’ll own and covet for years to come. Plus, they donate 100% of their profits to a rotating selected charity. This month’s recipient is Store to Door. Each location we went to on the tour provided wine, snacks, and a 10-20% discount. We had lunch catered by Elephants Delicatessen in a beautiful location. 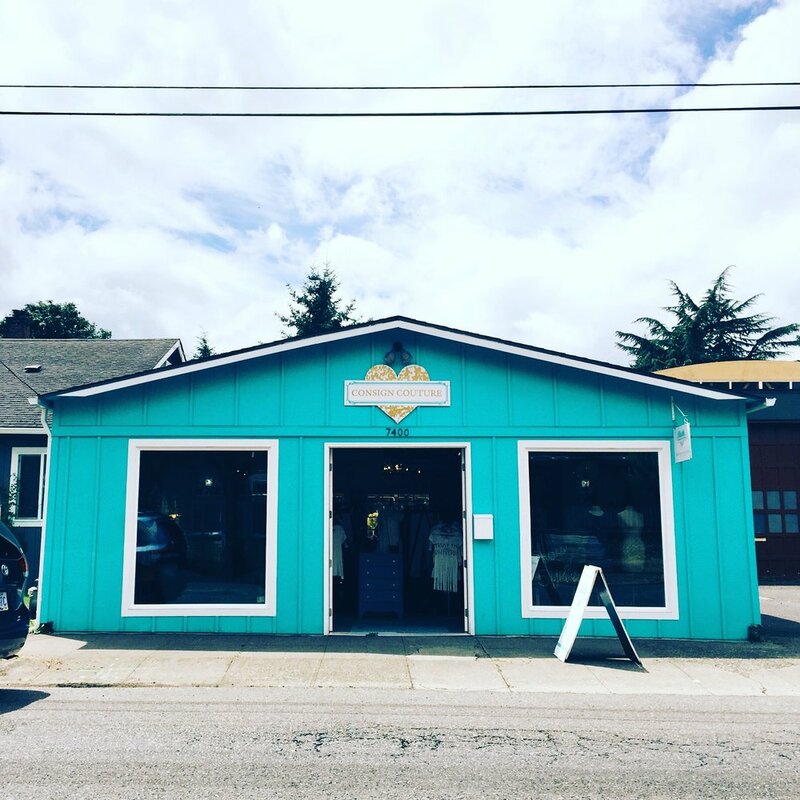 Portland Shopping Tours was launched by Tamara (owner of Consign Couture) in 2018 as a way to showcase the amazing small businesses of Portland, connect people, and of course, provide a fun shopping experience for people looking to discover new places. Couldn’t make this one? There are more shopping tours coming up, with tickets already on sale! Click the links below for more info (each tour has a different theme) and to purchase tickets. Most of us who are fashion lovers have our favorite bloggers and influencers who we love to follow and read. There are bloggers for all kinds of styles and subcultures, and recently there have been a lot of these influencers that are using their platforms to promote how to shop sustainably and fashionably. We’re going to highlight some of our favorite sustainability-minded bloggers and influencers, but first, what is the difference between a blogger and influencer? First, there two terms aren’t mutually exclusive. An influencer is someone who has the power to affect the buying choices of a group of people because they have a reputation of knowledge on a certain subject or niche, and have a following. This person can also be a blogger, but doesn’t have to be. They say that with great power comes great responsibility, and this is true. Many bloggers have used their following to promote smart and sustainable shopping, or have gained their following because they promote these things. One influencer we really love at Consign Couture is Whitney Bauck (@unwrinkling) on Instagram. She’s an editor at Fashionista and creates great content about living sustainably and how to be sustainable and fashionable. She also posts about sustainable fashion news and is very much in the loop with what’s going on in the industry. 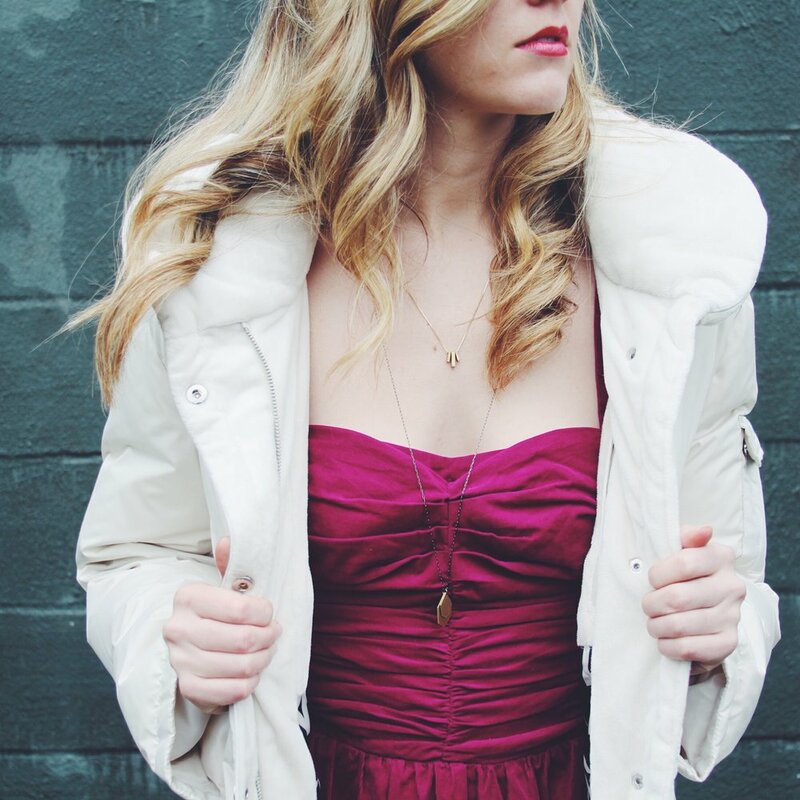 Another great influencer and author we love at Consign Couture is Elizabeth Cline (@elizabethlcline). She’s a journalist and wrote the book “Overdressed: The Shockingly High Cost of Cheap Fashion” which dives into the effects of the fast fashion industry and evaluates wastefulness of that industry. In addition, she has great posts on her Instagram about workers rights and sustainable fashion. Her book is a great read whether you’re a sustainable fashion newbie or a tried-and-true sustainability advocate. Mary Alice Duff (@maryalice_duff) is a fashion designer with a focus on ethical fashion with inclusive sizing. Her posts often feature fashion inspo, updates about her fashion line, and some posts about sustainability as well. She’s a really great example of sustainability and inclusivity in action with her clothing line that walks the walk and talks the talk. Her styles use fun colors and silhouettes, and she uses models of all shapes and sizes on her website. Plus, she offers styles through a size 4X. Alex, a blogger and instragrammer (@distilmystyle) is UK-based and posts great thrift store fashion inspo and sustainability tips. On his blog, he posts about sustainable and ethical men’s fashion and other style tips - such as how to wear and take care of linen for men. There aren’t nearly as many fashion bloggers for men as there are for women, so it’s great to see a men’s fashion blogger that is also sustainability-minded. But why is it so important that bloggers promote sustainability? Many bloggers and influencers have audiences of thousands, so they have a huge platform that they can use to show just how detrimental the fast fashion industry will be. Many followers of these influencers will take their advice at least into consideration. “Sustainable fashion” can still carry a stereotype of being drab, boring, sack-like clothes, but the truth is there is a ton of great and stylish sustainable clothing options available at a range of price points in a plethora of styles. For me, I didn’t realize just how bad the fast fashion industry was until I saw posts from some bloggers about the facts and statistics of the damages and impacts. We as western consumers really aren’t confronted with the impacts of our buying choices. We go into the store, pick out some things, pay, and leave. We don’t see the dye runoff from clothing dyes in our rivers. We don’t see the wasted fabric on cutting room floors. We don’t see the heaps and heaps of thrown-away clothing on a daily basis. Because we’re not confronted with the effects of our clothing consumption, sometimes it takes someone else showing us just how bad it is, and influencers have the power to do that. Shopping sustainably is more important than ever as the effects of climate change are worsening. Here are a few brands that are environmentally-friendly and produce their clothing ethically. Eileen Fisher: Eileen Fisher is a great example of sustainability and style. They use plenty of organic natural fibers such as cotton and linen, and they use responsible wool (wool that can be traced back to exactly where it comes from. In addition Eileen Fisher is Fair Trade Certified, a certified B-Corp, a member of Social Accountability International since 1997, and all their factories follow SA8000 comprehensive workplace standards. Also, there is Eileen Fisher Renew which takes worn and used Eileen Fisher garments and mends, repairs, remakes, and resells those garments in an effort to create more of a closed-loop system. Eileen Fisher also offers inclusive sizing. Patagonia: Patagonia has been a long-time leader in sustainability and creating environmentally-friendly products. They're one of the few brands of its size that has been very successful at being sustainable. Patagonia has a Worn Wear site where they take back used Patagonia items and repair and resell them. Plus, Worn Wear offers in-depth guides on how to properly care for Patagonia garments. 1% of their sales goes towards supporting environmental organizations and they donate grants of $2500 to $15,000 to hundreds of causes and grassroots organizations. On Patagonia’s website you can see all of their mills, factories, and farms - you can see what is produced at every location and you can read specific information about each location. Very few brands are as transparent as Patagonia. In addition, they are Fair Trade Certified and they keep tabs on what their factories pay their workers to ensure that they’re earning a minimum wage, and Patagonia is taking steps to ensure that their workers are paid not only a minimum wage, but a living wage. This is barely scratching the surface of what Patagonia does, and I encourage you to check out their website to see what other great things they’re doing. Reformation: This brand creates quality, trendy clothing while still being sustainability-minded. Reformation releases quarterly sustainability reports and they have a “RefScale” that tracks their environmental impact - it tracks CO2 emissions, water usage, and generated waste, then calculates how Reformation’s products help reduce these impacts. A RefScale rating is given to every garment on their website. Everlane: Everlane focuses on creating classic pieces that will last through many wears. They’re transparent about quite a bit of their manufacturing and sustainability efforts - from their factories to cost of labor to production methods. They also donate a portion of their Black Friday profits to better the lives of their factory workers. People Tree: This brand creates trendy and quality clothing that is produced and sourced sustainably and ethically. They work with Fair Trade Cotton farmers and uses upwards of 80% organic cotton. In addition, People Tree uses Global Organic Certified Organic Cotton. People Tree also sources their wool from New Zealand which has an Animal Welfare Act which ensures that the animals are treated well. People Tree also is Fair Trade Certified and is accredited by the Soil Association. Alternative Apparel: This brand focuses on quality basics and knitwear for men and women. 80% of their garments are made with sustainable materials and processes, and all their factories they contract with adhere to Fair Labor Association guidelines and workplace codes of conduct. Also, 88,000 pounds of organic cotton is used in place of standard cotton. In some of Alternative Apparel’s garments that include polyester, they use some that is recycled and made from post-consumer water bottles. Thought Clothing: This brand creates women’s and men’s clothing that are meant to be worn for years, not just a season. Their mantra is “wear me, love me, mend me, pass me on.” Thought Clothing uses a lot of organic bamboo, hemp, cotton, and wool in their garments and they make each piece of each collection in the same place to reduce the environmental impact caused by shipping and transportation. In addition, they founded the Common Objective, which is a non-profit network that champions ethical production. Prana: Prana is a brand that is Fair Trade Certified, uses organic cotton and hemp, and is well known for its athletic wear and knits. They also use recycled wool and responsible down in their garments. Prana was also the first North American apparel brand to be Fair Trade Certified. EcoVibe Apparel: This brand is local to Portland, OR and has a store on Alberta Street. They use mainly sustainability-minded materials such as tencel, modal, bamboo, linen, cork, vegan leather, recycled polyester, rayon, and organic cotton. EcoVibe also donates 1% of their profits to 1% For the Planet. For as long as people have worn clothes, old garments have be repurposed, handed down, and remade. But second hand shopping as we know it today is a fairly new concept. Before the Industrial Revolution, all clothing was custom and handmade either by a tailor or someone in the family who knew how to sew. Because making new garments was time consuming, clothes were not seen as disposable and their lifetime was stretched as long as possible. For example, if a mother bought a new dress from a tailor she would wear it and wear it nearly every day, and mend any tears and rips as they occurred. Then, when the dress could no longer be mended, it would be made into clothes for the children. Then when the children outgrew the clothes or the clothes became too worn, the clothes would then be used as rags or stuffing for furniture. But once the Industrial Revolution completely changed how fashion was manufactured, the disposal and use of clothing would completely change too. As clothing became more and more inexpensive to manufacture, people began to see clothing as disposable. Why take the time and effort to mend things when you could just go out and buy a new one fairly inexpensively? As more and more people moved to cities to find work, they often had to cut down on the possessions they owned because they had less space. But where would all the used clothing and housewares go? At this time in the late 19th century/earth 20th century, wearing pre-owned items was a bit of a faux-pas. It showed that you didn’t have much money, and there were also some anti-semitic connotations to this. The first preowned merchants were typically Jewish, and there was much bias against Jews at this time. Despite this, it was shown that good money could be made from reselling items, so in 1897 the Salvation Army opened up a “salvage brigade” shop in the basement of a shelter, and the first Goodwill opened in 1902. Christian organizations saw resale shops as a good way to fund their ministries and help the less fortunate. In addition, many thrift shops at this time offered outreach programs, like Goodwill still does today by offering free English classes and help finding jobs. Thrift stores were originally called “junk shops” which didn’t help their popularity and reputation at the time. But by the 1920’s when more and more people began shopping secondhand, they became known as thrift shops, which made people feel better about shopping at them. Then, once the Great Depression hit, people couldn’t afford to part with their belongings, and the same thing happened during World War II. But, after the boom of post-war prosperity, business took off for thrift stores during the 1950’s. 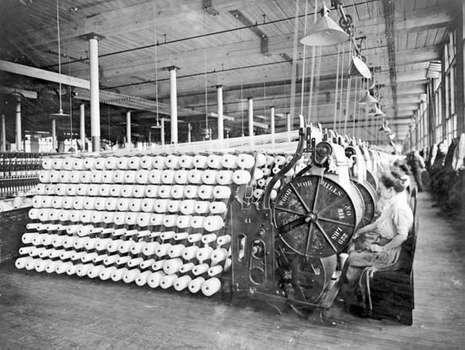 Part of this also had to do with synthetic fibers becoming more popular and widespread - Polyester was created in 1941 and it soon became a staple fiber for textiles. People were parting with their old goods, and opting for new polyesters ones. It was also during the 1950’s that more specialized thrift shops emerged - such as consignment shops and vintage shops where wealthier consumers would peruse, looking for high-end and couture garments at a reduced price. Since then, this “treasure hunt” style of second hand shopping has only skyrocketed. After this, with the rise of the Environmental Movement, thrift shopping also became a way of environmentally-friendly shopping, and was seen as a form of recycling - as it is today. Today, second hand shopping is easier than ever. 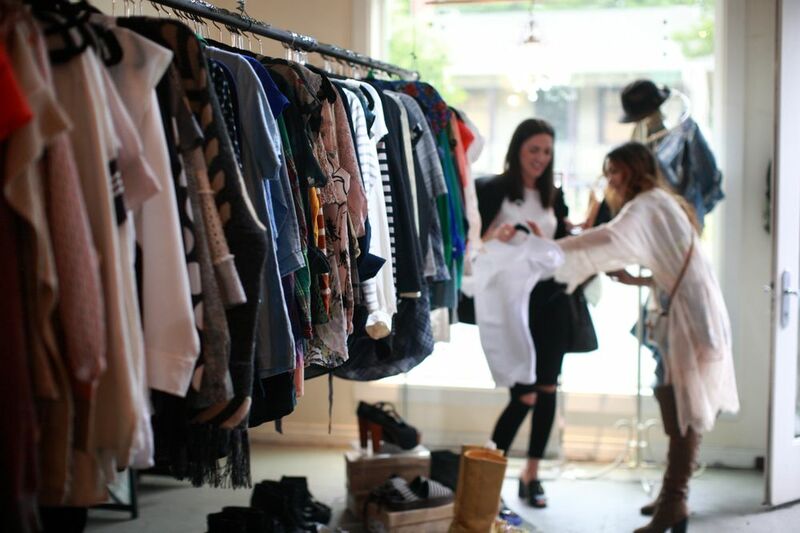 There are thrift, consignment, and vintage shops all over cities and urban areas. Plus, with the creation of websites like ThredUp and TheRealReal, now consumers don’t even have to leave their homes to find great garments at a second-hand price. Plus, private clothing brands themselves have started their own resale shopping sites. One of the most popular is Eileen Fisher’s Renew program where customers can send back their used Eileen Fisher garments and the clothes are then mended, repaired, remade, and resold at a lower price. Eileen Fisher has a team of seamstresses that work specifically for the Renew program who are experts at repairing garments. This is also a sustainable option - instead of throwing used and worn garments away, they can be remade and their lifespan can be extended. There’s also a company, the local Renewal Workshop, located in Cascade Locks, OR that works with brands to help extend the lifetime of their products and help them create a circular lifespan. Also, they collect data on the brand they work with and share it with them to let them know how to better manufacture their garments. So where will the resale industry go from here? It’s only expected to grow larger - specifically to a $41 Billion dollar industry by 2022, and about half (49%) of that resale industry is the clothing resale industry. Plus, this industry is growing 24 times faster than the regular retail industry. With the fast growth of resale, it will be interesting to see where technology, innovation, and sustainability will take us. Dries Van Noten is a Belgian fashion designer who grew up around fashion - his father owned a menswear shop and his grandfather was a tailor. Van Noten graduated from Antwerp Academy in 1980. Soon, his designs gained popularity and made their way to the United States. Van Noten’s designs are described as “eccentric” and unique. Their designs feature lots of color, interesting style lines, and much attention to detail. Something interesting about this brand is that unlike most other design houses, Dries Van Noten does only ready to wear items, not haute couture. They are based out of Antwerp, and they create four new collections every year: summer and winter, men’s and women’s. Dries Van Noten is well known for creating well-made designs with a unique twist, which is what makes his designs desirable. Also, his designs tend to be slightly less expensive than his luxury counterparts, such as Gucci and LV. Yves Saint Laurent got his start in fashion by designing dresses for his mother and sisters in his early teens. A few years later he began attending the Chambre Syndicale de la Haute Couture in Paris where his designs were quickly noticed. He went on to study under Christian Dior where his designs gained even more notice. Saint Laurent worked his way up through the Dior fashion house, and when Christian Dior died suddenly of a heart attack, Saint Laurent found himself as the head designer of the Dior house at age 21. Saint Laurent was the first French haute couture house to launch a pret-a-porter (ready to wear) line. This turned out to be a good choice for him as his ready to wear line made much more profit than his couture line. Saint Laurent is a highly revered fashion designer whose fashion house, YSL, is still creating new designs today. His brand is very luxurious and high quality, with a women’s suit jacket selling for about $4,000 on his website. YSL has been known for creating innovative, high-quality designs and Saint Laurent’s legacy lives on through his fashion house. Founded by Guccio Gucci in 1921 in Florence, Italy, Gucci has been a long-standing luxury brand. 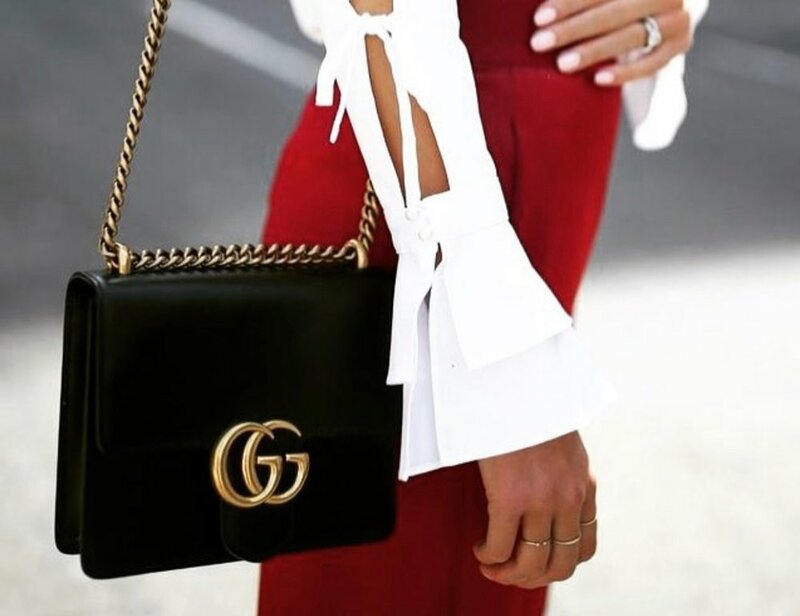 Guccio Gucci got his start by designing handbags and saddlebags after being inspired by luxury luggage he encountered while working in a hotel. His shop soon had a reputation for being the highest quality, and began to expand. He opened shops across Europe and in the United states, and sold luxury leather goods, shoes, his iconic loafer, and some garments as well. Gucci expanded his company into New York City, where jetsetters from around the globe established his brand as a status symbol - something that still holds true today. 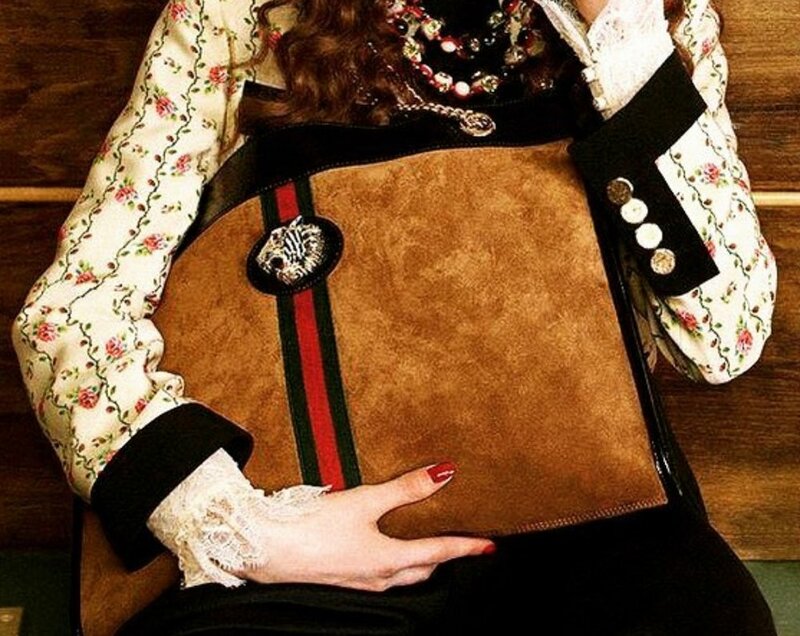 Gucci still lives up to the standard of using only the highest quality leather, and many of their iconic styles are made of leather; such as their loafers and belts. The Gucci couture house is still based in Florence, Italy to this day, and is able to thrive as a high-end luxurious brand because the “status symbol” reputation of Gucci still lives on as it did in the early 1900s. Prada was started in 1913 by Mario Prada in Italy as a fine leather goods shop. Its reputation for quality grew throughout the 20th century, and by the 1990s, Prada was known as a luxury status symbol. Prada’s originality set the brand apart from the pack, and helped the brand gain popularity. Also in the late 1980’s/early 1990s, Prada launched its brand Miu Miu that is geared towards younger customers and launched its ready to wear lines. Prada’s success and profits have only increased, and Prada is well-known for bags and accessories, as well as its runway looks. Prada also creates shoes, sunglasses, and perfumes. Louis Vuitton was founded in 1854 in Paris by Louis Vuitton himself. He started out by making practical trunks that were lightweight and airtight that could be stacked. Prior to this, most trunks had rounded tops and were unable to be stacked. In the decades following the success of LV’s trunks, the brand expanded into other types of goods such as totes and bags that featured the LV monogram logo. LV stuck mostly to creating bags and other fine leather goods, but now sells ready-to-wear lines, fragrances, shoes, jewelry, and accessories in addition to their bags and leather goods. LV still creates bags with their iconic LV symbol which is very popular, and has stood the test of time. Louis Vuitton also offers bags in exotic leathers that sell for upwards of $20,000. ﻿Stella McCartney is the daughter of Paul McCartney, and is known for her designs that use vegetarian alternatives instead of fur and leather. McCartney designed her first jacket at age 13, and in the years following studied under well-known designers such as Christian Lacroix and graduation from Central St. Martin’s University. She started her fashion house in 2001, and now there are 17 Stella McCartney stores worldwide. Stella McCartney is known for her women’s ready to wear line, but also offers handbags, shoes, lingerie, swimwear, and accessories. She is also known for her collaboration with Adidas where she produced various athletic and athleisure garments in conjunction with Adidas. Christian Louboutin started his career freelancing for various fashion houses, but eventually opened up his own shoe salon in Paris where he found favor among celebrity clientele, and the brand has only grown from there. Louboutin has perhaps one of the most recognizable fashion signatures in the industry. The trademark red soles of his shoes are iconic and are a symbol of luxury and wealth. Chloé was started in 1952 by Gaby Aghion in Paris, France. The brand is known for creating feminine, romantic styles. Chloé has always been an innovative brand - they were the first to introduce luxury ready to wear styles, and was the first to integrate a mobile-friendly website and livestream a runway show. The brand has also released additional collections - See by Chloé for younger women, and a girls line. In the 1970’s Karl Lagerfeld was Chloé’s sole designer, and created soft, feminine silk dresses. In the 2000’s Chloé expanded into accessories, shoes, and bags with many young British designers taking over as Creative Director; including Stella McCartney. Chloé only creates women’s items and has not expanded into menswear. Also, the brand is known for their horse-print items. Dolce & Gabbana was started by Domenico Dolce and Stefano Gabbana in Legnano, Italy in 1985, much later than many of D&G’s competitors. The duo got their start by designing a women’s line in Milan Fashion Week among some other up-and-coming designers. Later, they opened a store in Italy and gained recognition for their fourth collection which was inspired by 1940’s Italian cinema. The Sicilian Dress, which was a piece from that collection, was a huge success and D&G is still known for that dress today. Now, D&G has expanded into menswear, children’s wear, accessories, fragrance, and more. Emilio Pucci was born into an Italian noble family in the early 1900’s, but he actually has some roots in Portland. After he was cut off financially from his family, he offered to design Reed College’s ski uniforms in exchange for tuition - and he did. With the help of local White Stag, Pucci produced all of the new ski uniforms for Reed. Pucci’s designs gained more prominent recognition when one of his women’s ski wear designs was photographed and featured in Harper’s Bazaar. Not long after, Pucci set up his own haute couture house on the Isle of Capri. Pucci is known for his use of bright colors and bold patterns - his blouses and wrinkle-free silk skirts were very popular among his customers. Soon, Pucci was recognized on the international level, winning various design awards such as the Neiman Marcus Award. He was then thrust even further into popularity when Marilyn Monroe became a fan of his in the 1960s. To this day, the Emilio Pucci design house carries on the tradition of bold colors and patterns, and still creates skiwear. Written by Krista Sanford, our St. Johns shopgirl, who is studying apparel design at the Art Institute with a focus on sustainability. Her final project for her draping class is shown below. Hello, nice to meet you, so glad you’re here, see you again soon—do you ever think about how life is a series of meetings and partings? Over and over again we come together with others, then we part company. I’m learning to respect each of those concepts: What it means to welcome something and what it means to say goodbye. 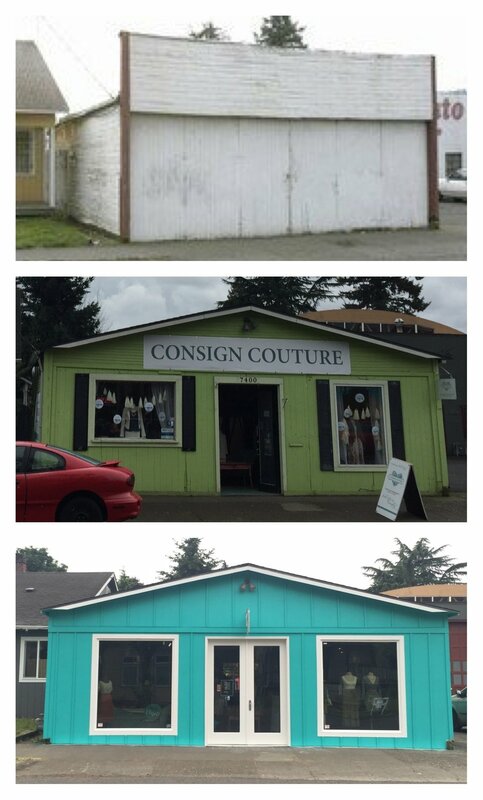 Seven years ago I opened the doors of Consign Couture St. Johns with the hope that I could meet my North Portland neighbors and provide a space for them to feel at home. Today, I’m writing to you to say thank you for those incredible, soul-healing years of community, mutual support and sustainable fashion. 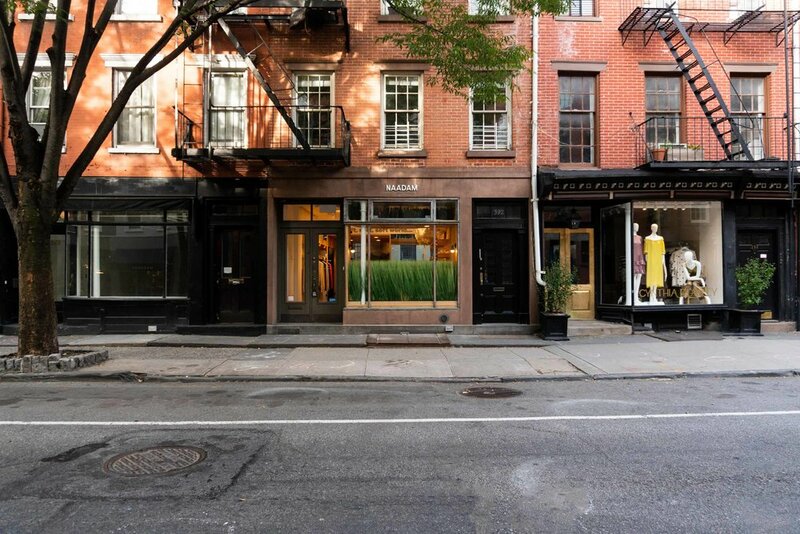 Like all good things, the era of Consign Couture St. Johns is coming to an end and something new is taking its place. When I opened this business I never dreamed in a million years that I would pass the torch to someone else, but the time has come for me to do so. 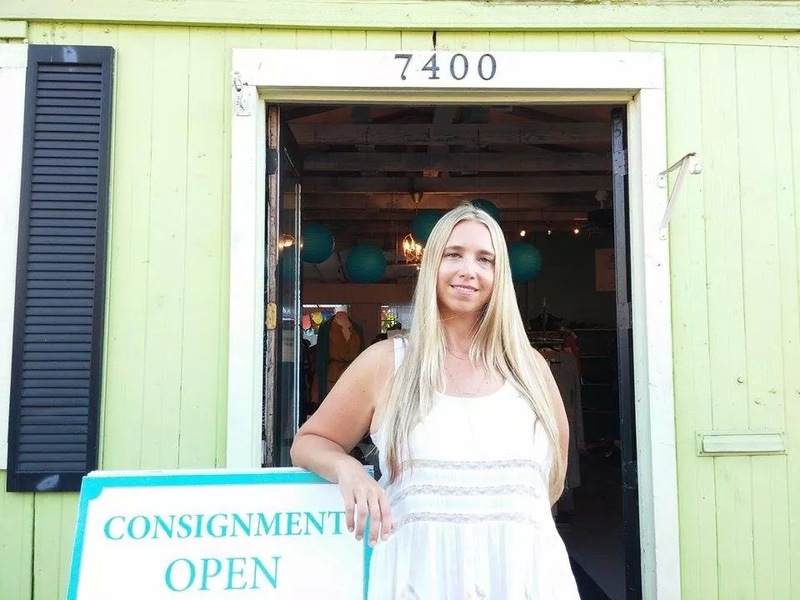 While Consign Couture will continue to live on in Lake Oswego, the St. Johns location will become Gather Resale, a new concept from CC VIP and sustainable fashion maven Phoebe Krueger. More on that in a minute. It’s hard to leave a neighborhood that you’ve loved for over a decade of your life. St. Johns has given me so much more than I can ever hope to give back and I am humbled by what we were able to build together. I am so thrilled to be able to pass the reigns of something so dear to my heart to someone who cares as much about sustainable style, supporting other women and St. Johns as I do. Thank you again for helping me build a business that gave me so much more than a vocation. Through your love and support, I found purpose, community and a place to truly belong. Gather Resale is committed to providing an inviting space for style conscious and sustainability-minded people to buy high quality resale clothing at a great value. We offer a welcoming atmosphere with top notch service where neighbors are invited to express and explore their personal style by shopping our carefully curated selection of clothing. Our consignment model facilitates a space for consigners to sell their previously loved clothing to new owners who will treasure them. You know how sometimes you put an idea out there that sounds awesome but too big and scary to really imagine happening? Well, that’s how I initially felt the first few times I mentioned to Tamara that I would like to have my own resale shop someday. But now that it is really happening, I am more excited than ever and know this is the right decision. Tamara laid the groundwork for a super shop that brings the community together and I plan to continue the awesome work she started while adding my own personal touches to the shop over time. One of my favorite things about the shop was the sense of community I felt when I walked in and the strong relationships Tamara build with her customers. I am equally committed to Gather Resale being a place that brings the community together and look forward to getting to know my customers. I’ve lived in North Portland with my husband Matt (only about a mile and a half from the shop) for the past ten years. I love living up here and supporting the businesses in my neighborhood. I am so happy when I can walk to the store or bike to a local restaurant. Expect to see my bike parked out front regularly when it’s not raining! I’ve been a customer of Consign Couture since it opened. I shop resale so I can get high-quality clothing at great prices while doing my part not to further damage the environment. I serve on the board of Friends of Trees and am passionate about sustainability! Looking forward to seeing you around the shop! I love cats (I have two, Myrtle and Gertrude), hanging out with my husband, drinking beer and wine, trying new restaurants, working out, traveling and reading. I am an expert at creating a solid snack spread. I’m from Wisconsin, but have lived in Portland 16 years. I worked at the Gap for five years while I was in college and it was one of my very favorite jobs. Who knew I would come back to retail 20 years later? On January 1, 2019 Consign Couture St. Johns will officially become Gather Resale. So what does that mean for you? It means that you have a new option for beautiful, stylish resale shopping, however, it will be a completely different company than Consign Couture. See below for important information for CC consigners and customers with store credit. What to do if you have store credit with CC St. Johns? If you have store credit with Consign Couture in St. Johns you have two options: Use your credit to buy yourself or someone else something nice for the holidays or your credit will automatically transfer to the CC Lake Oswego location after December 31. What to do as a consigner with CC St. Johns? Your items sold between now and the end of the year will be paid out after December 31. Beginning January 1, 2019, your unsold inventory will be sold with Gather Resale; please visit the shop to sign a new contract next time you are in! As a young girl I grew up in Montana with my mom, 4 sisters, and a brother. From an early age we were not allowed soda or candy, but fruit, veggies, and water. It wasn't until my college years that I finally indulged in everything. Diet Coke was my best friend for a long time! After having my son in my early 30s, going through a few health scares and dealing with poor skin in general, I finally woke up to those early teachings of my mom who said, "It matters what you put in your body as much as what you put on your body." Along with cleaning up my diet, I decided it was time to make the switch from conventional toxic makeup and skincare to clean and/or organic beauty products. Not only does my skin look the best but I also feel the best! 1. what types of products are you going to be selling? Natural & Organic makeup and skincare mostly, with special seasonal items here and there. Our current lines are Hynt Beauty, Nu Evolution, Au Naturale, Lily Lolo, Battington Beauty, and Maya Chia. 2. where did you find the lines for Coral Story Beauty? My own personal experience and research, with some help from a few of my favorite green beauty bloggers. There isn’t a brand in the store that doesn’t have a product in my daily rotation. 3. Where did you get the inspiration and idea to start CSB? Online shopping for makeup can be very difficult to match your skin and I was having a hard time finding things locally. I have worked in retail for many years and have always wanted to start my own business, so doing just that with an idea I’m so passionate about made a lot of sense. 6. Will you have an online store? Further down the road, yes, but right now we want to celebrate being a brick & mortar. Makeup and skincare is so personal that we really want to be able to spend face-to-face time with our customers and the community. 7. What do you want people to know about your brand? Coral Story Beauty is a woman & minority owned business. We are open to everyone and want a space to help and educate people on their beauty journeys. 8. Will people be able to get makeovers at CSB? Yes! We offer services for mini makeovers, color-matching, and going thru the existing products you currently have & thoughtfully switching what you can. We can do event makeup too! 9. What are your 5 MUST have beauty products? 10. Tell us more about YOU!? My husband and I are originally from Montana, we have been together for 14yrs, and have a 5yr old son. We have two persian cats. I am a member of the Fort Peck Assiniboine and Sioux Tribes in Montana. I am also a certified Personal Trainer and have taught classes for Baby Boot Camp SW Portland & Wilsonville. I enjoy reading books, playing with my family, working out, running, shopping, and going to Blazer games. I'm thrilled to offer to you Melissa, my personal organizer for my home and my businesses whom I have worked with for the last 2 years. She's a north Portland resident who has been professionally organizing for 12 years. She works closely with some of Portland's prominent business owners including The Society Hotel, Posies Cafe, Mantel, Integrate Architecture and the Kenton Business Association! Tidy Nest Organizing + Consign Couture are partnering to help you clear out your closet, consign your items and organize your space. You will be quoted a special hourly rate that only Consign Couture customers receive. Tidy Nest Organizing will help you clear your closet and organize your space. Items cleared will be brought to Consign Couture for evaluation & sorting. You will receive an online account with a detailed list of items that are consigned. Items not being consigned will be donated and a donation receipt will be provided to you upon request. You will be paid electronically for consigned items sold. Tidy Nest Organizing works with you to clear your closet and transform it to a stress free, functional space. We all have room to be a little more sustainable in our lives. It's easy to get caught up in the craziness of life and let little details fall by the wayside, so here are 10 simple things you can do in your day to day life that supports living more sustainably. Some of them may seem obvious or small, but doing all of these things together will help reduce your footprint on the planet and make you feel good that you're doing your part: every little bit counts. Bring reusable straws and utensils with you wherever you go. This helps reduce the waste from disposable plastics. It's astonishing the amount of plastic we waste when we're eating on the go. Start carrying a travel pouch of stainless steel straws and bamboo utensils (or any other variation of reusable ware) in your purse or car so you get in the habit of utilizing them. Keep a to go mug in your car for spontaneous coffee stops. It's easy to just grab a coffee on the go without thinking of the waste repercussions, but even just a few coffees a week in disposable cups majorly contributes to the waste problem. Don't drink bottled water unless it's absolutely necessary. Start carrying a reusable water bottle with you wherever you go. If you tend to forget yours easily, buy multiple and store one at your house, in your car, at work, etc. so you won't be tempted to buy bottled water. Replace disposable plastics with reusable wares in your home. Ditch the ziplock bags and replace them with reusable snack bags, or use tupperware instead. When going to the grocery store, bring reusable produce bags from home instead of using plastic bags for produce. Choose eco friendly cleaning products. All the harsh chemicals found in heavy duty cleaning products are harmful to you and to the environment. Eco friendly brands like Mrs. Meyer's and Seventh Generation carry all the cleaning products you could ever want and are safe to use. Dry your clothes outdoors when the weather allows for it. Using a clothing line or a drying rack instead of your electric dryer will help the environment and reduce your electric bill. Recycle worn out clothing and old electronics instead of throwing them in the trash. These are two common things that go to landfills when instead they can be recycled into something new. If you have clothing that is too worn out to be consigned or donated, find a recycling drop off such as GemText near you. If you have old or obsolete electronics, donate them to a local electronics recycling business such as Free Geek. Say "no" to the bag. Bring reusable bags from home whether you're shopping for groceries or clothing. Keep bags in your car so they're with you whenever you decide to stop at the store. Look for clothing made from recycled fibers when shopping new, or shop sustainably focused brands. Educate yourself on which brands are making the effort to reduce their environmental impact. Patagonia and Eileen Fisher are perfect examples of brands that are focused on being as sustainable as possible. Shop consignment and resale. This, of course, is the ultimate way to become more sustainable with your wardrobe. Although we can't buy absolutely everything used, if we can shift our mentalities so that 50% or more of our clothing is bought used, the amount of clothing waste will drop drastically. By consigning your clothing and purchasing used clothes, you are embodying the cycle of reduce, reuse, recycle. Putting on these shopping tours has been a dream come true. Getting thirty women together on a bus to tour a selection of Portland's best resale, consignment and vintage stores draws in a diverse group of women who would probably never have gotten the chance to meet otherwise. On this tour we had it all: mother and daughter pairs, friends, singular women, forever customers of Consign Couture, brand new faces, women who love fashion, women who don't feel all that fashion savvy, and women who's first language is something other than English. The stores we showcased on this tour were all very unique from each other and all evoked the exciting feeling that comes with shopping secondhand: it's like a treasure hunt, and you never know what gems you're going to find. This has been our starting and ending point for all of our tours so far, where we kick the tour off with coffee, mimosas, and breakfast snacks. Located in a space that was previously an auto body garage, this shop of seven years is the epitome of repurposed magic. An exquisitely curated little boutique with an eclectic collection of vintage home, beauty, garden and fashion pieces from all around the world. Stepping in here was like stepping into an extravagantly colorful world of beauty and texture that you never wanted to leave. They carefully curate their tiny, bright and elegant space with a gorgeous array of designer pieces, the majority of which are sourced from New York and California. Every piece in this shop is beautifully made and of the highest designer quality. We were excited to have our very new Lake Oswego location be part of the tour. In this big, bright and open space we're creating a haven of not just consignment but putting an emphasis on self-care, wellness, education and empowerment. We have Renée Lara here as our in house stylist, who will be hosting weekly style chats on Friday mornings, as well as providing other services that will help you in "connecting personal style to fashion and well-being." They have a large and very well put together selection of consigned clothing, handbags, shoes, jewelry, etc. There are some truly beautiful pieces here and hidden gems on their sale racks. There is literally something for everyone here. We've chosen to focus these shopping tours on resale, consignment and vintage shops to promote the support of small, local businesses and to advocate for the sustainability factor that goes with consuming used clothing and goods rather than buying everything new. After gaining an awareness of some of the scary truths of the fashion industry, it becomes imperative that we try to shift our habits even just a little bit by supporting recycled fashion. Join us on our next shopping tour on June 10th: come by yourself, with a friend, with your mom, with your daughter. You can purchase tickets at Eventbrite, and stay tuned for more details as the date gets closer. See you on the bus! The newest addition to our Lake Oswego location is a massage chair, and we're creating a serene little haven in our studio office space where Jade will be having pop-up massage times. She'll be doing chair massages in 10, 20 and 30 minute increments as a way of adding a dose of self-care to your day that will both relax and invigorate you. The pop-ups on the Friday dates will be right after Renée's weekly style chats, so come at 10 because these are something you won't want to miss. If you would like to reserve a specific time during any of these pop-up hours, you can email Jade at jaderiannabautista@gmail.com. Otherwise, these pop-ups will be first come first serve. Stay tuned for more dates and times in the future!